Here's the story of a Maryland couple who was able to succeed with the help of Goodwill and two agencies. Be Inspired! Today we give you the story of Haley, a young Illinois woman who was empowered by support from the community and Goodwill. In case some of you don’t know, let us introduce Lorie Marrero, professional organizer, creator of ClutterDiet.com, and Goodwill® spokesperson and ambassador of the Donate Movement. Many have been helped by her book, website, and video tips on how to get things in order and keep them that way. Here’s a recent post. You can learn more from Lorie on Twitter, @clutterdiet, or www.clutterdiet.com. A mother and her adult daughter were watching television one evening. During the commercial breaks, their discussion was focused on impending bills. Both women had been unemployed for a while and were continually overcome with stress. They both figured a waitressing job or seasonal, retail cashiering position would fulfill their monetary deficit for the moment. They both had been down this minimum wage road for most of their adult lives. It involved a life of nickel and dimes, money pressure, and daily bill anxieties. They could never get far enough ahead before the next wave of burden came. They decided to take two jobs each. After all, Christmas was coming. Then, they saw the television advertisement for Job Connection. The next day, the two women scraped together enough gas money to go across town on fumes. After all, the gas gauge was always a little off. Today the car would just have to make it. If they could just get across town, they’d focus all their effort towards a better job. Miraculously, the car made it to Job Connection. The job lab was packed with eager job seekers, lively with excitement. The two women were quickly shown around, handed two job lists, a call center list, and temporary services list. Loaded up with paperwork, they walked over to the job board. The staff responded, “We’re open from 8:30 a.m. to 5:00 p.m., Monday through Friday, and through lunch.” The lady paused to smile before continuing, “You have all day if you need it…” She found it odd that the two women seemed emotionally moved over this perfunctory fact of hours of operation, but she didn’t question it. The staff person pointed out the retail lead links that were also on the job lab computers. She talked about the different call centers that were currently hiring, and the job lists sent by different companies that were displayed. The two women eagerly grabbed a clipboard and began to scribble down notes. Then, they sat down at two computers next to each other. The staff person assisted the two ladies with accessing call center websites, and pointed out that she was happy to answer any additional questions. The ladies made an afternoon of their job searches, not knowing what the end result would be. It had not occurred to either of them that there were so many call centers, most of which paid well above minimum wage. Mentally exhausted, the two ladies ended their hard work search at 4:00 p.m. If this didn’t lead to anything, at least they gave it their all. They hadn’t slept well in a long time, but both of them slumbered peacefully that night. They both knew they had tried, and that was all they could do. Within two weeks from that first visit to Job Connection, they both had jobs. The mother was able to easily fill her gas tank, and make the trip across town. She had to tell that “Job Connection lady” how such a simple job search concept had changed her family’s dynamic. Her daughter is now earning $12.50 per hour with a raise after 30 days, nearly double what she had made before. The mother is now earning $9.50. A difference of $2.25 an hour means a change in life. The mother communicated the story back at Job Connection, carefully relaying all the details of her personal journey. She fought back tears while explaining the difference between minimum wage, and what she and her daughter earned now. She was grateful for the television ad, staff assistance, the job board, job lists, call center sheet, and computer access. Diane Nash is a Goodwill Job Connection Specialist. Find out more about Job Connection’s services at 918-599-0067or ​http://bit.ly/jobconn . The team at the Broken Arrow store had some fun with this! The cases were set up this past Wednesday, creating suspense for the customers. The unveiling was on Black Friday, during the Customer Appreciation Sale. And behind doors, er…cases, Number 1 and 2 were …. … just in time for Bedlam in Stillwater this Saturday. Don’t forget, Saturday is also a big day at our stores: Holiday Half Price Sale, when you can save 50% on all regular price ladies’, men’s and children’s clothing. Our stores open early at 8 a.m., so you have time to stop in before the game. Who are you rooting for, the Sooners or the Cowboys? It’s a pretty cool concept, actually. The idea is after those first big spending days of the holiday shopping season — and before we spend even more — we take a moment to give. The holidays are a time of giving after all. The official goal of the movement is for the giving community — charities, nonprofits and corporations — to commit to a national day of giving. But as individuals, you, too, are a part of the giving community. While you may hear of many groups’ projects to commemorate the day tomorrow, you and your family can also show generosity in whatever ways you find meaningful. For instance, volunteering at a local charitable agency or donating to your favorite cause. So, if you’ve ever toyed with the idea of giving to Goodwill, either monetarily or with goods, go with that feeling this Tuesday. All donations help us fulfill our mission to help people find jobs despite whatever barriers they might face. Check out our Facebook for a special way to show your support for Goodwill. You can also find out more about GivingTuesday at this link, including how families can participate and how to use the day as a vehicle for teaching kids about the giving side of the season. There are a lot of you out there who can turn a T-shirt into a skirt, or make a vintage outfit out of thrift shop clothing, or flannels into quilts (remember these http://www.pinterest.com/goodwilltulsa/fabric-of-giving-quilts-by-pj/ ). And, we want to see your work! Tweet a picture to @goodwilltulsa or send it to connect@goodwilltulsa.org . While, Goodwill stores are your primary (wink, wink) sources for materials and inspiration, where else do you find yours. Share your tips. Nita Conway of Tulsa works for American Airlines as a technical assistant. She shares how Job Connection helped her find that job and how her mother's influence guided her through the long process. I dedicate the success of my overcoming the challenges I faced this year as a legacy to my mother, Lois Baker Davies. For 28 years my career was focused as a legal administrative assistant. My years of service were divided between a private firm and a corporate energy environment. In March 2013, I lost my job. I had never been without a position and when the unexpected happened to me, it brought an awareness of the emotional devastation a person experiences over of the loss of a career. I had experienced personal loss — but this was different. To me, my career was not only a job; it was a way of life. In the days following, I applied for unemployment benefits and immediately began my job search. I never thought it would be so difficult to land a position. My administrative experience and skill qualifications were up to date with today’s technology. After four weeks with no success, I began to doubt my self-esteem. I heard about Goodwill’s Job Connection from a television commercial and decided to visit the facility. When I walked into the center, the positive and sincere efforts of the helpful employees assured me to believe they would do everything possible to assist me in finding a job. Fascinated with the airline industry since 1986, I had a desire to work at American Airlines. In April when at the Job Connection center, I saw a posting for temporary employment at American and submitted my resume. I continued to seek other employers as well. By the end of May, I was contacted by American and offered a temporary job. Once I was employed, throughout the summer I continued to apply for permanent job postings within the company. I was determined to land employment where I could work and obtain benefits that accompanied a full-time employee position. After applying for 25 job postings within American, going on 4 interviews (2 were conducted in Dallas), on October 21 I was offered a technical assistant position and gladly accepted the offer. I began my new full-time career at American on October 28, 2013. I never gave up pursuing my dream and my efforts paid off. I owe the success in my life to my Mother. She taught me from the cradle to love God, work hard, love others and to never give up. 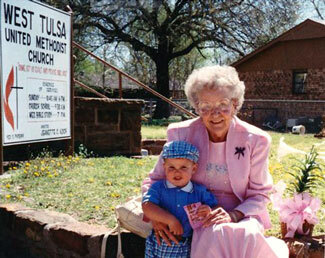 Lois Baker Davies on Easter Sunday 1994 with great-grandson Cody McElyea at West Tulsa United Methodist Church. 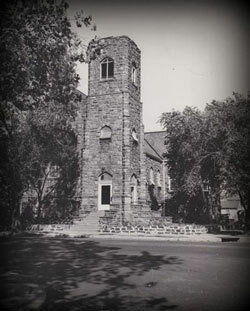 West Tulsa United Methodist Church, around 1958. In 1927 as a 9-year-old child, my mother was one of the first Goodwill volunteers at the West Tulsa United Methodist Church when the foundation was established under the Reverend Wilkie Clock. Her efforts and those of many others were a vital part of the beginning of the structure at Goodwill. Mother and a few of the remaining volunteers were honored at the Goodwill 50th Anniversary in 1977. She was presented her award by Channel 8 news anchor Bob Hower. She was a member of the church until she died October 11, 2006. In addition, my grandparents Troy and Birdie Baker were Tulsa residents and served the community. My grandmother worked at the Tulsa Day Nursery in the 1920s caring for underprivileged children. My grandfather gave shelter in their West Tulsa home to people in danger during the 1921 Tulsa Race Riots. A lifetime of servicing the Tulsa community runs in my family. When the challenges during the job search became financially and emotionally overwhelming, I became very despondent. It was during those times I know Mom would whisper in my ear and say “Don’t give up Sis, don’t give up!” I didn’t give up. In life, you are going to be faced with challenges but it is how you handle the challenges that matter. The efforts in the basement of the church by Mom and those first volunteers 86 years ago, has returned full circle in my life. Today, my testimony and career success is dedicated to my mother Lois Baker Davies and the service provided by Job Connection at Goodwill. "Honor, Pride and Sacrifice" was the theme of the 95th annual Veterans Day Parade in downtown Tulsa on Monday. Organizers told local media that Tulsa's parade is the fifth largest in the country. Thousands reportedly came out to honor the area’s veterans and support their family, friends and co-workers who marched. Dori Britton: “The atmosphere at Goodwill prior to departure was pleasant. They handed out candy bars with the maps. There were fellow employees taking pictures and they were thanking the veterans. Outside someone took a video of each veteran which was later posted onto the Goodwill Facebook page. That was nice to share on Facebook. As a result of that I got three people to ‘LIKE’ the Goodwill page last time I looked. “When arriving at the parade site, it was great to see all of the different veterans from different eras, plus other branches of service. It was especially nice to see the older veterans. Then you saw the parade participants – many, many motorcycles, the Jeep club, the classic cars club, the Corvette club, the miniature motorcycles and cars with the Shriners, the Carver pom club practicing their cheers with Miss Oklahoma (who road on the Kiwanis Club float) and MORE. What was really nice was how many were watching the parade and their enthusiasm and patriotism. There were veterans sprinkled throughout the parade watchers. You could identify them by their ball caps stating branch of service and/or the war they were in all the way up to some of them being in full dress uniform. “I rode with a Viet-Nam veteran who was pleased to see the other Viet-Nam veterans throughout the crowd – as they were to see him. “While they were cheering for the veterans, every so often I would hear someone yell a hurrah for Goodwill, too. For those who might feel guilty buying boots year-round, let us officially declare it boot shopping season! Tommy Hilfiger boots and Worthington skirt purchased at Goodwill Tulsa. Selection, as you might expect, varies. Keep an eye out for your favorite brands and/or style, and be ready to pounce when you find a good deal. The Tommy Hilfiger boots pictured at rightonly cost $24.99 at Goodwill. Keep an open mind, however, especially if you wear a hard-to-find size. For instance, find a nice pair of leather knee-high or mid-calf boots for versatility. Winter boots are usually worn with heavy socks or thick tights so I make sure I have a pair with me, so I can get an accurate fit when trying them on at the thrift store. And even if I don't have on a pair of thicker socks, I always make sure the boots have a little a wiggle room. If they're already too tight without thick socks, they'll be way too uncomfortable when worn with the appropriate socks. And for pointy toe boots, going up half a size always makes for a better fit so your toes aren't smooshed. 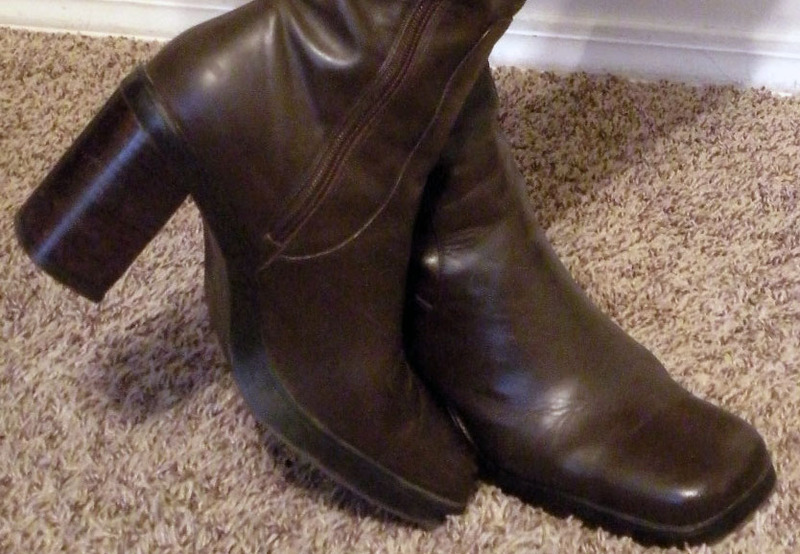 Carefully inspect heels, soles and zippers when buying used boots. Shoes can take a serious beating, but especially boots that are worn in rain, sleet and snow. In addition to the physical condition (any scuffs, stains, tears, etc. ), pay close attention to the heel. Has it been worn down? Is it wobbly? This is something that can easily be fixed by a cobbler, but just factor in the cost of repair before buying. Some styles of boots are always in style (flat, ankle, wedges, cowboy, etc. ), so you'll always find something that's on trend and super affordable. What boot shopping strategies do you use? Paperworks Studio, a program operated by Goodwill Industries of Northern Michigan, Inc., creates handmade recycled greeting cards with a team of artists with disabilities. The cards are made one-at-a-time using recycled denim, wool, coffee, cotton and paper. The high-quality cards also change lives, notes Brian Lewis of Goodwill Industries of Northern Michigan, Inc. The artists learn important life and work skills that help build and foster independence. The cards are sold at Whole Foods grocery stores and a limited number of Goodwill® stores, and online at www.paperworksstudio.com. Watch the artists' stories. And be inspired! A host of holiday accessories at the Goodwill® 2800 SW Blvd store. It’s a case of holiday spirit. The team at the 2800 SW Blvd. Goodwill® store has rolled out its amazing collection of holiday jewelry. The eye-catching display case has many gems, such as earrings, bracelets, necklaces and watches, at respectable thrift store prices. Jewelry is a big draw at the store, says manager Jaime Monroe. She expects a similar response to the holiday themed pieces. Arranged with the jewelry are holiday décor and trinkets. More shipments of holiday wares are scheduled to start hitting Goodwill Tulsa stores in coming weeks. Shoppers can expect to find gently used ceramics, crystal and glassware in good condition. Thanksgiving Day is still weeks away. The jewelry case is just a warm reminder of the season ahead. High-quality holiday treasures are mixed in with the jewelry at the 2800 SW Blvd. Goodwill® store. It’s time to start thinking about Christmas at the 2800 SW Blvd. Goodwill® store. Are you proud of that homemade costume and do you like to haunt Goodwill? Well, here’s a treat for you. Share a photo of you in your costume taken at any one of our 11 Goodwill locations and you’ll become eligible for a drawing to win a $25 Goodwiil gift card! Selfies are encouraged (this time J) or have a friend take the picture. Then share the photo here. By submitting, you agree to let us post your photo online and use your email address to contact you in connection with the contest. Children’s pictures accepted if submitted by parent/guardian. Contest ends Friday, Nov. 1 at 8 p.m. No purchase necessary! Just scare up some courage and snap away! Still needs some DIY costume ideas? Goodwill® Job Connection exceeded its job placement goals for the quarter, due in large part to the diligent work of volunteers who very generously gave their time and services to make more than a thousand follow-up phone calls to clients. One of those volunteers was David Majors who was responsible for bringing in approximately 80-100 placements for Job Connection during his 6-week assignment. He also made follow-up calls for TulsaWORKS and Beyond Jobs, bringing in 8-10 placements for those programs. On August 12, 2013, my journey started with handshakes and smiles from two ladies, Clarice and Diane. After a brief tour of the office, I was led into a room with just a table, chair, and telephone. What I didn’t know was that “THE TELEPHONE” was going to be the tool of my trade at Goodwill. Next came the stacks of phone lists, a script of what to say, and a pen. I was told to practice the script, so I would know what to say. What I didn’t know at that time was that I was going to say the same thing over and over and over a lot for the next six weeks. To the point I could say it in my sleep! What did I receive from my experience at Goodwill? The biggest gift I received was knowing I made a difference in someone’s life. To hear the joy in a person’s voice when I told them, “come in and get a $35 clothing voucher” to buy clothes at the Goodwill store for their new job. To have someone stop by your desk and say, “thank you for calling me the other day,” with a smile on their face. I also learned a few people skills by watching Clarice and Diane work with the clients, all positive in nature. Like how to act or react even when presented with negative behavior. I never can say thank you enough to the people at Goodwill for showing me how to really care about someone else’s life instead of mine. Now about the funny parts of my experience: Having lunch with Diane, Paul and Greta every day was the high point of my day, always joy and laughter around the lunch table, even when Scott dropped in — just kidding Scott! The bottom line is this: I will always remember my six weeks at Goodwill. It was and always will be a positive and life changing part of my life. “One of my sales associates informed me that a lost dog was roaming in our parking lot. Afraid that the dog would get hit, several concerned customers brought him into the foyer. Goodwill® donation attendant Roger Prickett assists Baxter, who had wandered into the parking lot in Broken Arrow. “Mild-tempered, yet playful, the dog sat quietly while several customers discussed where the dog might have come from and how the missing family might be worried. A few even made comments of 'wishing they could take him home.' My sales associate then turned to me and asked if there was something we could do after hearing someone comment ‘ hope the pound doesn't get him.’ I called my husband to see if he could come up to the store. He was okay with us putting him up for the night. “My thought was to put his photo on FB and see if we would be able to find his owners. With the help of my friends in donations (who even had doggie treats! ), I took a photo and sent the picture to my dad's wife. She shares photos from Tulsa's Animal Shelter on Lost and Found pets on her page. Later, my daughter walked a few blocks to see if perhaps someone would recognize him. “I received a text message that someone contacted my dad's wife stating that this may be their dog and we would be their 'hero.' I made contact with her and found out that we live only blocks from one another. “Excited, I told my daughter (who is an animal advocate) that we may have found the owners and his name was Baxter! She screamed and when we called out his name, he, too, jumped for joy! How one works a job fair can determine how beneficial it will be. Each event differs as much as the organizers who put them on. For some, it’s all about networking. For others, the goal is locating a pool of interested — and available — candidates. However, there are approaches the keen job seeker can take in any job fair environment. These ideas weren’t meant to be comprehensive. They’re just some basic approaches one can take to get the most of a job fair and how Job Connection can help. Most people know Goodwill® as a place to donate their gently used items or to find great deals on clothing, housewares and other goods. But do they think of Goodwill® as a job creator? At Goodwill Industries of Tulsa, the money we raise by selling donated goods in our retail stores helps fund our various programs. In turn, those programs help people such as Cliffton Manuel, who after struggling with many odd jobs, was able to land a steady position as a private security officer. Or Julia Parks, who not only discovered a career change that benefited her family, but also found her potential. Last year, 1009 people found jobs in our community with help from Goodwill Tulsa. Through August 2013, an additional 633 people have earned jobs with Goodwill Tulsa’s help. Meanwhile, about 217,000 people in the United States and Canada obtained meaningful employment as a result of Goodwill’s career services last year. In addition, Goodwill® provided employment training, job placement and other community-based services, such as financial education and youth mentoring, to more than 6.7 million people. Goodwill Tulsa is proud to join a nationwide effort with The Ad Council to encourage all Americans to help create jobs by donating to Goodwill®. Our new public service advertisements (PSAs) set out to educate audiences about how their donated goods help fund job training programs in their communities. The “Donate Stuff. Create Jobs.” campaign seeks to highlight the role that Goodwill® plays in promoting independence and dignity for people of all backgrounds. The ads will be distributed in English and Spanish to the Ad Council’s network of more than 33,000 TV, radio, outdoor, print and digital media outlets. UPDATE: The spots expired August 20, 2015. The content is not available after that date. You may know the Ad Council as the nonprofit behind thousands of memorable and successful PSA campaigns that have addressed the most pressing social issues of the day. Now, it’s teamed up with Goodwill® to promote the message that a simple goods donation can help people find dignity, meaning and purpose. It’s not news that in the current economic landscape, good jobs can be difficult to come by, but it may be wonderful news that there is a way to help. At Goodwill®, we’re doing our part to help people get back on their feet. We hope that you will, too. 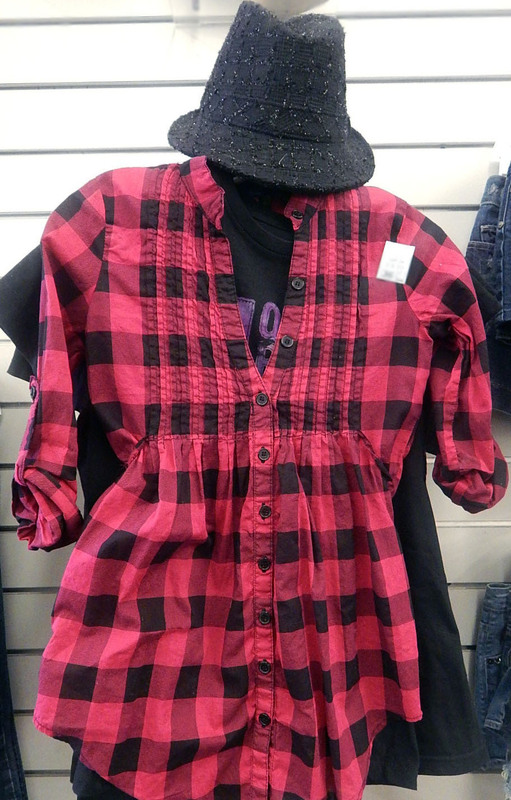 A display of warm weather fall clothing for juniors at the Broken Arrow Goodwill® store. Bright and bold colors add pop to fall fashions. Whether for school or play, Goodwill® has the popular brands and the latest trends that juniors are searching for this fall. Here are recommendations for putting together a high-fashion look without the high ticket price. Think beyond muted pastels. Instead, try bold and bright colors. They work as primary themes, but can really shine as accents. The Broken Arrow Goodwill® store is highlighting cobalt blue as an accent color for black-and-white ensembles. Light blue and purple, lavender and pink, also dot the displays. Color goes for shoes as well. Check out the stores’ displays for ideas. A display at the 2800 SW Blvd. Goodwill® store shows how Juniors can mix in bright colors. Cobalt blue is an eye-catching accent color for fall ensembles at the Broken Arrow Goodwill® store. Under Armour in various sizes at the 2800 SW Blvd. Goodwill® store. Good quality team jerseys from former players often pop up at Goodwill®, such as these from the 2800 SW BLVD store. Pieces like those worn by today’s tennis stars, for instance, are great for creating stylish layered outfits for warm fall days. And thanks to brands like the uber-popular Under Armour, workout gear isn’t just for the track or gym anymore. At the 2800 SW Blvd. 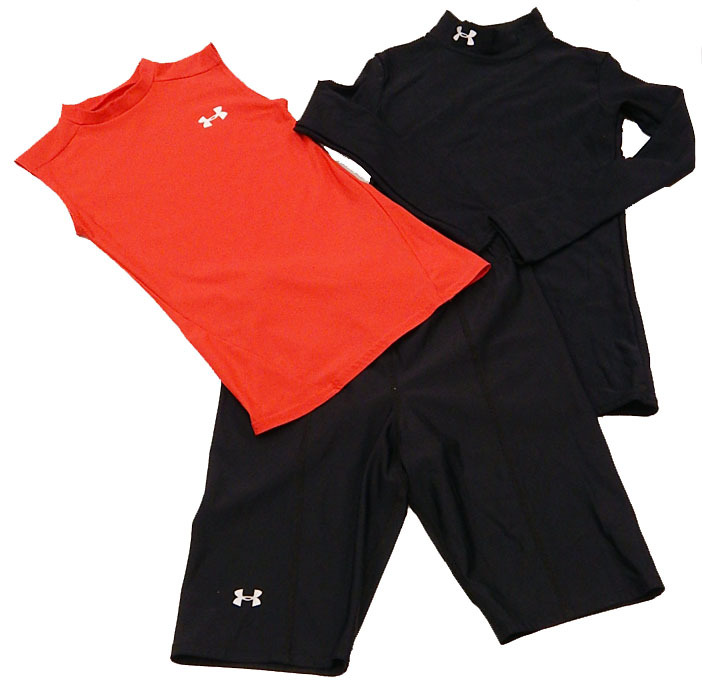 Goodwill® store, Under Armour clothing can be even less than outlet store prices: undergarments start at $6.99 ($20, regular retail); kids’ shirts are as low as $6.99; and women’s shorts and shirts, typically $45, start at $22.99. Meanwhile, football has arrived, the baseball playoffs are coming, and high school soccer teams are kicking it on the pitch. 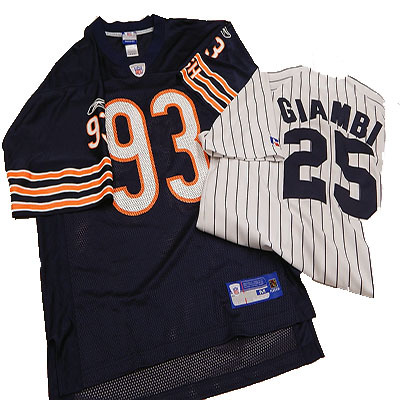 If you’re looking to incorporate your favorite team into your fashion style, Goodwill® can accommodate. Team apparel can be found in many styles, such as knit hoodies, fleece pullovers and yoga pants. Team Jerseys and polo shirts are available in boys’ and young men sizes, and go nicely with a pair of jeans or khakis. Shoppers can save money on designer jeans in good condition from brands such as True Religion and Miss Me at Goodwill®. Who wouldn’t mind one or two designer options in their fall lineup? Try Goodwill® first for hot topic jeans such as Miss Me, Juicy Couture, True Religion and 7 for all Man Kind. When available, these gently-used or nearly new items are specially priced, but much less than regular retail prices. At 2800 SW Blvd., True Religion jeans, $200-$250 brand new, start at $45. Miss Me jeans start at $25 at the store, far below the usual $86-$88 price tag. Prices and selections vary at each Goodwill® store. Juniors can expect to save big on a bold and beautiful look for the fall. In January, Julia came to the TulsaWORKS program’s first orientation of the New Year looking for a brand new start. She was in search of a “career change” and she wanted it “now.” Julia’s five children looked to her for support and encouragement. This time, Julia needed a little bit of that herself. Julia was very well skilled: an articulate young lady with a Bachelor’s degree in human development. What she lacked, however, were the skills to put her knowledge and abilities together and sell herself in a job interview. Julia also enrolled in the Beyond Jobs program for women with the assistance of her TulsaWORKS case manager Christine Conner. Together, Julia and Christine formulated a plan for the journey to just the right career ­‑ and not just a job. A week after completing Life Skills, Julia landed an interview with The University of Oklahoma - Tulsa Schusterman Center for a job as a security officer. She had been in law enforcement, but wanted to do something different. Because of her children, she didn’t want to work weekends. This job was perfect! She remembered her Life Skills teachings and the interview went well. So well that she landed the job! Julia began working for OU-Tulsa one day after Valentine’s Day! It was a sweet day. Now, Julia didn’t stop there. As she continues with her employment as private security personnel for OU-Tulsa, she has also become TulsaWORKS’ Pied Piper, doing interviews and telling her story wherever she goes. Julia is working on her master’s degree (through OU, of course). 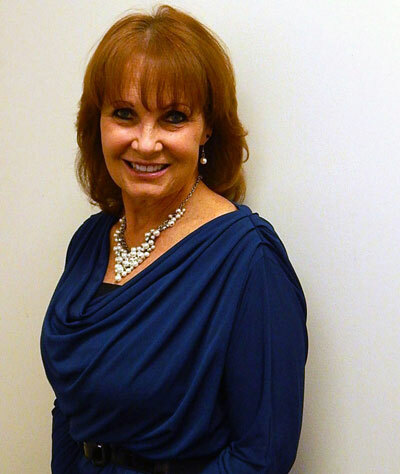 She continues to be a great example to her children and to current Goodwill® participants. Most importantly, she believes in herself. This class lets everyone in on the game of golf. Be inspired! And have a great weekend. Patriotic themed wares at Garnett store. In celebration of the 4th of July, we’re cultivating a red, white and blue theme board at our Pinterest site. And we want YOU to help – and maybe win a prize. 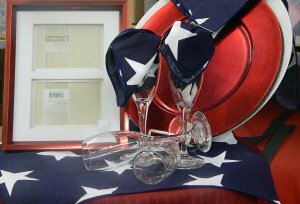 Go to the board to see photos of patriotic fashions and décor from our Goodwill Tulsa stores. Take a picture of your own 4th of July themed outfit or home decoration, and email it to connect@goodwilltulsa.org, with a short description. Also include your name and how to contact you. First submission for each subject (fashion or décor) wins a $15 gift card to use at any of Goodwill Tulsa’s 11 locations. The fine print: Photos should be at least 3×5 and/or 200 DPI. Get permission from your subjects. By submitting, you allow us to post your name and images on our social media sites. Goodwill Tulsa employees can submit photos but can’t win a prize (sorry). We’ll pin through the weekend. Let’s show our patriotic spirit here in the Tulsa area and southwest Missouri to the world! We try to send you on your weekend with an uplifting story about a person who faced down adversity to reach a goal. This article from the New York Daily News features a woman who doesn’t shy away from the public eye. Some people are never satisfied — even with success. Goodwill Industries International and the Walmart Foundation launched Beyond Jobs in late 2012 with high expectations. The mission was to provide women with tools — such as job training and placement services — to advance their careers, succeed in the workforce, and meet career and personal goals. The Walmart Foundation provided $7.7 million for the program as part of its larger initiative to reach 200,000 disadvantaged women. In the past six months, the participating Goodwill® agencies have served 4,150 women nationally, and assisted in 1,037 of them becoming employed. Goodwill Tulsa, through TulsaWORKS, has served 49 women and helped place 21 through May. Nationally, 13 women have reached the 6-month retention goal, one of them a Goodwill Tulsa Beyond Jobs participant. TulsaWORKS/Beyond Jobs is certainly one of the best kept job searching secrets in Tulsa! When I reflect back on the Life Success training, I am in awe of the advantage this one week gave me during my interview process with the University of Oklahoma. Reality is, by following the advice and tips given to me, my confidence level excelled and my interview process was completed in a manner that demonstrated confidence and knowledge. (I) was given an opportunity to attend classes at Goodwill Industries of Tulsa/TulsaWORKS program. I attended and received certifications in Forklift Training, Employment Essentials, and I am currently enrolled in Beyond Jobs. I have also obtained full-time employment (Yeah, Me!!!). I now have real useable skills … to earn a livable wage. I also know I can support myself and my family without selling drugs to make ends meet. I am stopping my cycle of recidivism. Goodwill Tulsa and TulsaWORKS are proud of the early success, but not satisfied. The program expects to help 230 women locally in the two-year grant period. So, the push continues to get these services to women in our community. TulsaWORKS holds its next orientation Tuesday, July 2: 10 a.m. on the campus at 2800 Southwest Boulevard, and 3 p.m. at Cornerstone Community Center (5610 S. 41st West Ave.) If you or someone you know could benefit from the Beyond Jobs program, call (918) 584-7291 or read about it online. “Improving the lives of working women in Tulsa — what an impact!” Sabrina says. Dean Vance speaks during a Third Thursday Connection about his good experience in Goodwill Tulsa’s job training classes June 20. Third Thursdays are a chance for former and current students to connect and share their job hunting experiences. So says Shawn Thomas, teacher of the corporate customer service class at TulsaWORKS. Okay, except maybe any 8 a.m. freshman seminar in college, he has a point. Making sure current and former TulsaWORKS clients can tap into that energy is the driving force behind Third Thursday Connections. Each month, TulsaWORKS brings together students and alums at the Goodwill Tulsa campus. Around noon, they share stories, swap job hunting strategies, and give and receive encouragement over snacks and finger food. The clients can bring a friend who is interested in the TulsaWORKS program. In that sense, Third Thursday meetings are a great opportunity for networking. Coming back to the learning environment is re-energizing for the graduates and gets the current students’ juices flowing, Thomas notes. TulsaWORKS graduate Dean Vance praised the training programs and the help he received, crediting it for his finding his current job. Vance, 61, works with people with disabilities and seniors in finding housing, health care and other needs. “There are jobs out there for every one of us,” Vance assured the others. Goodwill employment consultant Scott Rollins started as a TulsaWORKS student. Scott Rollins was a TulsaWORKS student and now he works for Goodwill Tulsa as an employment consultant in Transitional Services. Rollins shared advice during a Third Thursday Connection session June 20. Daniel Hart has taken two classes – workplace computer skills and corporate customer service — and he plans to attend Employment Essentials in July. Hart succeeded in a getting a company to review his resume and consider him for its training program. Being able to interact with the company reps by phone in a class setting was extremely beneficial, Hart explained. It was reassuring, he said, to hear the company favored accuracy over just speed. “I don’t have to be the fastest,” Hart said. Another student learned of the TulsaWORKS programs at Goodwill Tulsa’s job fair in May. Ms. Allen is taking Thomas’ class and is conquering Windows 7. She’s very happy she enrolled. Each Friday, we try to send you on your weekend with an uplifting story about a person who faced down adversity to reach a goal. This week’s inspirational story features one of Goodwill’s own. Dad’s been hinting he’s ready to take a swing at golf. Maybe you’ve caught the bug as well. Giving in to the temptation to buy the latest and greatest equipment, jump in a cart and race off to the first hole could prove costly and frustrating. Local golf clubs and our in-house golf enthusiasts shared this advice on getting started in the sport and how to save money in the short- and long-run. Before you worry about buying clubs, learn to play the game. More important, how YOU play. Classes help new golfers start right — and avoid the misery and frustration that can come with learning a difficult game simply by beating balls all over the course. “But wait, wouldn’t that cost a lot,” you might ask. Not necessarily. Look for deals on golf lessons at GroupOn. Consider taking a group class to save a few bucks and have fun learning with others. The Get Golf Ready initiative offers special lesson packages for beginners at participating local courses. Through the program, sessions cost around $100 at LaFortune Park Golf Club and South Lakes in Jenks, which has sessions coming up in August. LaFortune also offers follow up play days so newbies can enjoy their first round in a fun atmosphere. Simply buying new — or used — clubs off the rack is not the best way to go. That top of the line club the pros use could be just that, top of the line for a PRO. Ability and, of course, budget should be factors in choosing clubs. “Beginning golfers don’t know how committed they are going to be,” says Joe Galloway, golf shop manager at LaFortune. For that reason, he recommends buying less expensive beginner packages, $199-$399; or looking at technology that’s a couple years old, but still good. This way, if you decide the game is not for you, you’re not stuck with thousands of dollars in equipment. At LaFortune, fittings are included in the purchase of clubs. If you don’t buy, you get a gift certificate, so it’s still money well spent. There are ways to save, whether on clubs or greens fees. Check what your local golf course offers for used equipment or rentals. Stores such as Golf Galaxy and Dicks have deals on trade-ins. Look for bargains online. Some say it’s OK. Others say, never! Either way, Globalgolf offers new and used equipment in great condition at inexpensive prices. See whether courses charge less to playing fewer holes, at certain times or give discounts for booking online. For instance, LaFortune’s lighted Par 3 course is about $15 less to play than its Championship Course. Ask about discounts for seniors or kids. Juniors programs and kids camps are inexpensive ways for them to get started in the sport. The sport is working to make golfing easier and faster. The PGA of America and USGA are supporting the “Tee it Forward” initiative that encourages golfers to play with tees that match their abilities, leading to faster and more enjoyable rounds. So Dad has the right idea. It is a good time to get in the game. Have more ideas? Share your tips below. Each Friday, we’re going to try to send you on your weekend with an uplifting story about a person who faced down adversity to reach a goal. Hope you enjoy this first installment from the Pittsburgh Post Gazette. Be inspired! This past Saturday, Tulsa took part in National Day of Civic Hacking by inviting people to hack “Tulsa Wiki.” And so we did. As the name suggests, Tulsa Wiki (www.tulsawiki.org) is a collaborative website about our community to which anyone can contribute. The Tulsa City-County Library hosts the site. For the most part, any and everything that people find interesting about Tulsa and Tulsa County can have a page: places to eat outdoors, famous Tulsans, parks with fountains to splash in, etc. To add to Tulsa Wiki, you just need to register at the site. And then you’re ready to hack, er, contribute. That power comes with a big deal of responsibility. But that was the spirit of National Day of Civic Hacking — people using their computer know-how for the greater good. We can add more when we have the time, which is part of the organic nature of Wikis. You can watch a page grow from a tiny plant to a massive tree, teeming with branches. So even though hacking day is gone, the opportunity to participate remains. Coders, entrepreneurs and local government have started a conversation, looking to develop civic projects that use technology to improve our communities. Example: Apps that use public data, or make that data easier for citizens to access. Much thanks to TCCL and Code for Tulsa for leading the local charge. 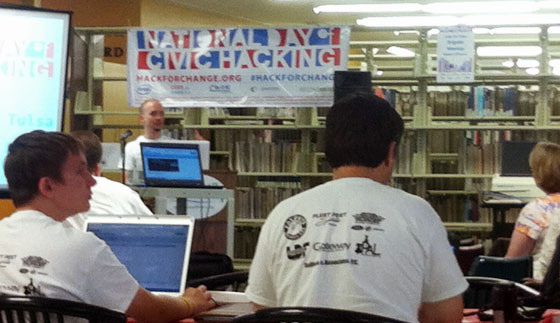 Luke Crouch of Code for Tulsa explained the drive behind National Day of Civic Hacking at TCCL on Saturday. Want to learn more? Check out http://www.tulsalibrary.org/faq/how-do-i-contribute-tulsa-wiki or http://codefortulsa.org/ or share this with others who might want to contribute. The book nook in the Southwest Boulevard Goodwill store feels like a store within a store. It’s a cozy area, covered by a green awning and with comfortable chairs for trying out a new author or subject. Fiction is alphabetized; non-fiction is categorized for easy browsing. You’ll find the expected: used children books, cookbooks, encyclopedias, paperbacks and reprints of classics. But how about sections on the metaphysical and alternative medicine? A shelf each for gift books, travel, parenting, fitness and true crime? Fifty sections, in all, of used books in great condition – many nearly new – at discount seller prices. Above: Sales associate Cyndi Alexander points out one of her favorite sections (she really loves them all) in the book nook at the 2800 Southwest Boulevard store. TOP: The Goodwill store has a classy layout and its books section follows suit. “I like for everybody to be able to find something,” said Cyndi Alexander, who has lovingly managed the section for eight years. Goodwill Industries of Tulsa resells donated items, including books, to fund training and other career services for people with disabilities or barriers to employment. Keeping old books out of landfills and fostering literacy are fringe benefits. Religion and Christian fiction occupy four shelves. There are three for romance and a table of Harlequin series: special edition, historical, Silhouette and NASCAR. Debbie Macomber, Danielle Steele, Nora Roberts and other popular authors are well represented. (The prolific James Patterson practically has his own section.) Missing a book in a popular children’s chapter series? Well, there’s a wall of them, 50 cents a book. The young adult section is crazy popular, Cyndi said, especially at the height of the “Twilight” phenomenon. Visitors will find an eclectic mix of titles for all tastes including Black history, homeschooling and local lore. Cyndi’s plan is to offer as much as possible to a wide range of readers. “I manage this like a store,” she said while leaning against a cart of new arrivals. She doesn’t like sections to be sparse or – even worse – empty, so Cyndi puts books out strategically. She rotates her stock as needed. She adjusts with the seasons, for example, putting out plenty of paperbacks and gardening books when the weather warms. If a customer can’t find a title or subject, Cyndi will keep an eye out for it. She willingly sorts through the book donations, trying to spot what her customers want. She makes awesome finds: a recent Bethany Frankel, in prime condition; a beautiful Anne Geddes hardcover; oversized bios on Madonna and ACDC. Always wanted to learn to play piano or harmonica? There are lesson books in the music section. Restoring a classic car? Check out the shelf of Chilton manuals ($3 each). Not into hardcovers? There’s a table of trade paperbacks, many of them only $1.50. Collectors might want to periodically peruse the two glass display cases set aside for special items. The Walt Disney Minnie Mouse and Donald Duck board books are still there, but a Maurice Sendak pop-up book is already gone. Goodwill provides a comparable amount of space and expanded selection of books in the Goodwill store at 102 South Garnett Road. Many fans shop both locations on a weekly basis. Wander over on your next shopping trip and join them. Women looking for a well-paying job, or trying to further their careers, can find inspiration in Alicia Ray’s success with TulsaWORKS and Beyond Jobs. As the 2NEWS story notes, women may face roadblocks even after earning a degree. One barrier-busting strategy is improving your skills. What areas not covered in your schooling could use some attention? Have there been technological advances you need to catch up on? And it doesn’t necessarily mean going back to school. Try finding free or inexpensive training courses in the community, like Alicia did. A superb skill-set can boost confidence and open doors. Video: Making a Difference: Program helps women break down roadblocks to landing good jobs through Goodwill. TulsaWORKS is a program partner with Beyond Jobs, which provides job training and placement services to women. Goodwill Industries of Tulsa is one of 45 Goodwill agencies taking part in the program, which is funded through a grant from the Walmart Foundation. For more information on the program, TulsaWORKS and other courses offered at Goodwill, visit www.goodwilltulsa.org. Be careful when taking kids: Little ones might be eager to pitch in, but look for safe, appropriate settings. Consider people’s feelings: Emotions will be running high, especially for survivors. Be mindful of where they are. Damaged homes or broken items are still someone’s property. Being respectful goes a long way. Don’t discount money: For many groups, monetary donations are still crucial for sustaining efforts even after the cleanup is completed. Goodwill Industries of Central Oklahoma needs volunteers. Click here for more information or email your contact information (including zip code) volunteer@okgoodwill.org. And here are a few links to more tornado relief information. Clients practice their interview skills as part of the TulsaWORKS training program. These mock interviews are also a great opportunity for companies to evaluate or enhance their applicant qualifying process. Representatives participate in the practice interviews, which helps give the students an authentic, real-world interviewing experience. Upcoming mock interview dates are Friday, Feb. 21 and Friday, April 18, from 9 a.m. to 1 p.m.
cfloyd@goodwilltulsa.org or Sabrina Ware at sware@goodwilltulsa.org. Visit here for more details about Job Connection and how to connect with what it has to offer businesses.